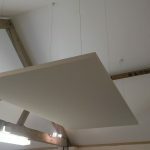 We are Acoustic Wall and Ceiling Panel Installation Contractors. Do you have a problem with acoustics? Does your room, office or hall have too much echo? 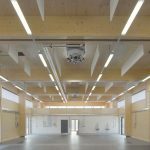 If so, then a range of acoustic wall or ceiling (or both dependant upon the actual requirement) panels could be exactly what you need. They can be unobtrusive and help immensely with sound issues. We work directly for businesses, or as a sub-contractor. We are able to quote against an actual specification or provide a manufacturer design. 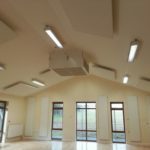 Acoustic ceiling and wall panels are particularly effective at helping with sound issues where a traditional acoustic suspended ceiling cannot be installed for any reason. 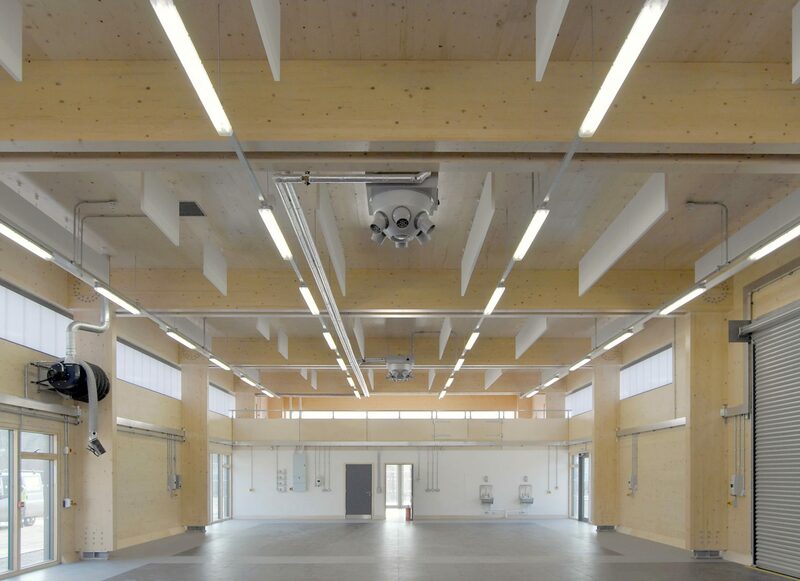 We have close ties with manufacturers who are able to offer help with acoustic advice and calculations to help ensure the best possible acoustics are achieved. 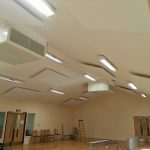 There are a wide range of sound reducing panels available, and they are available in a range of colours and designs; from simple square or rectangular white panels through to specifically designed shapes and colours. 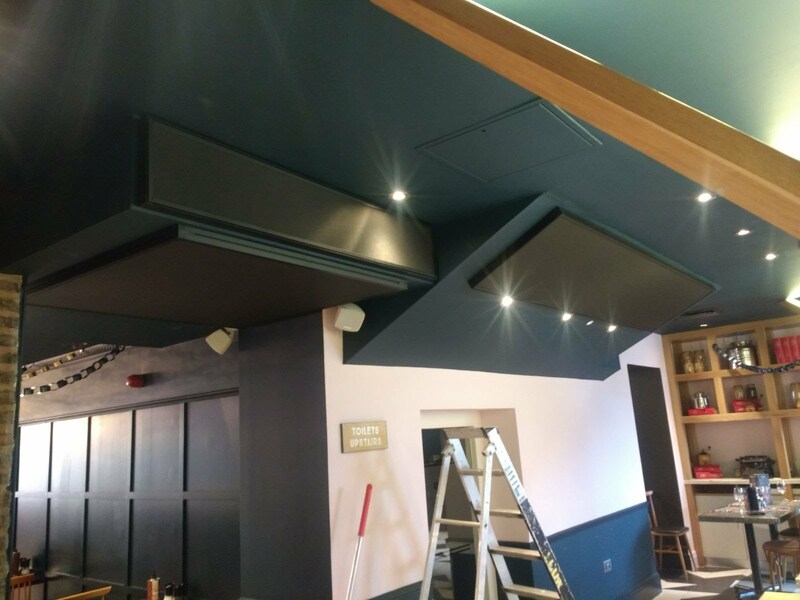 Depending upon the particular product used, they can be installed to an existing ceiling soffit with either a direct bracket or hung from fine wires, with the wall panels fixed with either a range of different frames or wall brackets. 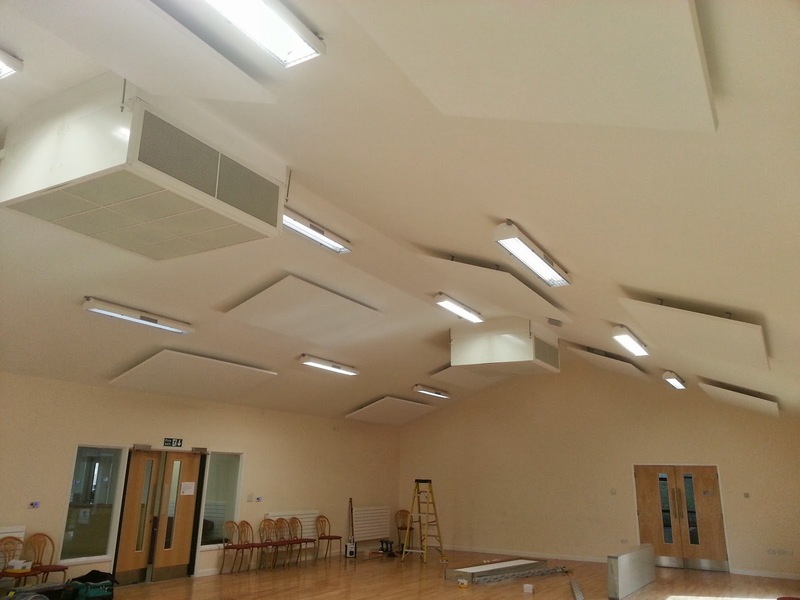 Acoustic ceiling and wall panels to a community hall. 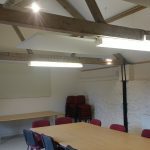 They were installed in an area that we were informed was almost unusable due to the poor acoustics, where groups would attend for short times before not returning again due to the echo in the room. 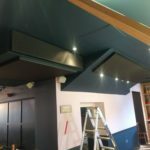 The installation of both ceiling panels and wall panels changed the environment completely, and the centre manager was delighted with the results. 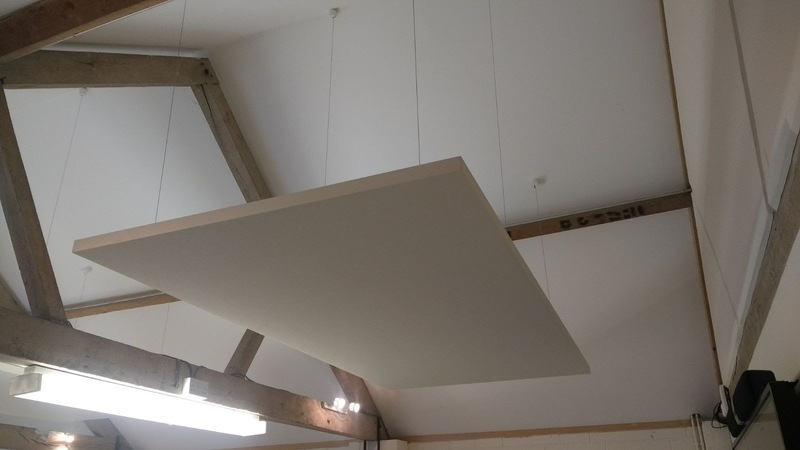 Acoustic baffles to a new build workshop extension for a college campus, which were hung from the ceiling to help with the acoustics in the room. 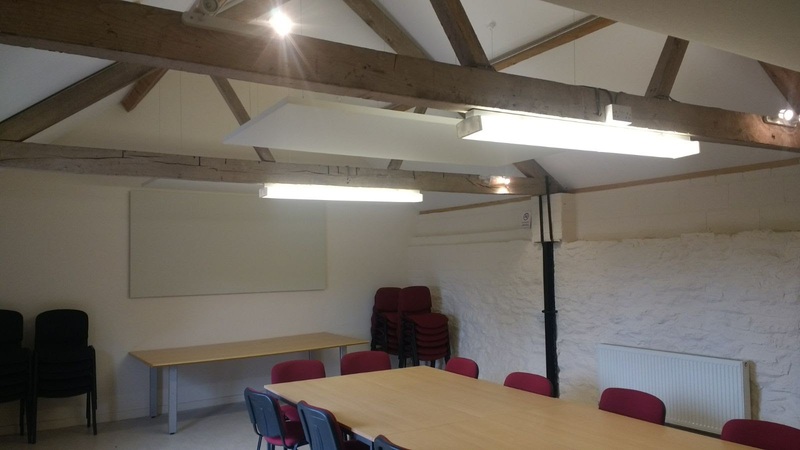 Colour ceiling acoustic rafts to an office meeting room for the Duchy of Cornwall. 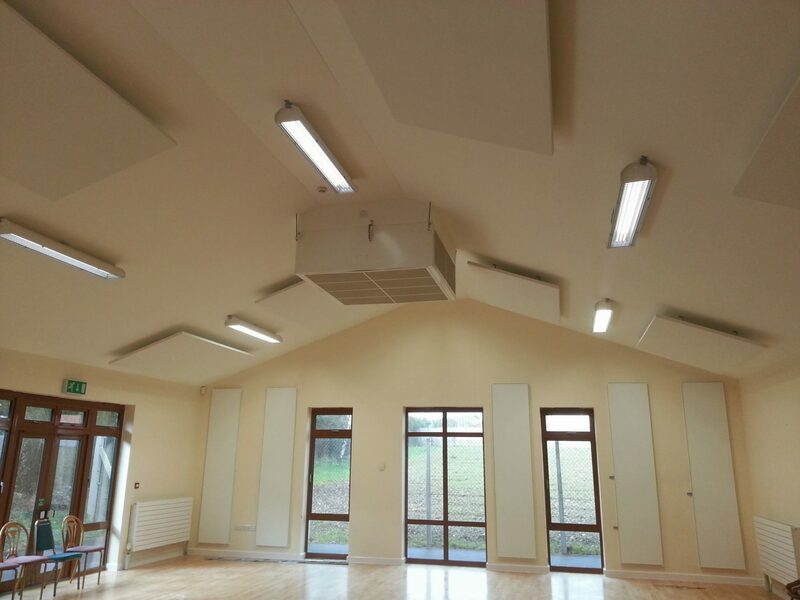 If you would like some further information on the range of acoustic panels available, or if you have a sound issue and would like to know if they could be of any use to you, please do get in touch with us.